We've got the power you need! Our trained electricians are the best in the industry, and can repair any issue, guaranteed! From installations to emergencies, big or small... our electricians can perform the job. We're not the big guy, but that just means we can offer quality local service, focusing on the relationship and getting you the things you need to enjoy life! We provide residential and commercial electrical services to: Vancouver, North and West Vancouver, Burnaby, New Westminster, Richmond, Delta, Coquitlam area, Maple Ridge, Pitt Meadows, Surrey, Langley, White Rock, Abbotsford and Mission. At Expert Electric we strive to offer the highest level of service, and we value every customer that chooses to work with our company. We also value and appreciate it when our happy customers refer our services to their friends, family and colleagues. So, we've created a referral reward program that will pay you $25 for every referral that becomes an Expert Electric customer. How it works: Simply fill in this referral form, and if the person/company you referred to Expert Electric becomes a customer, we'll mail you a cheque for $25. 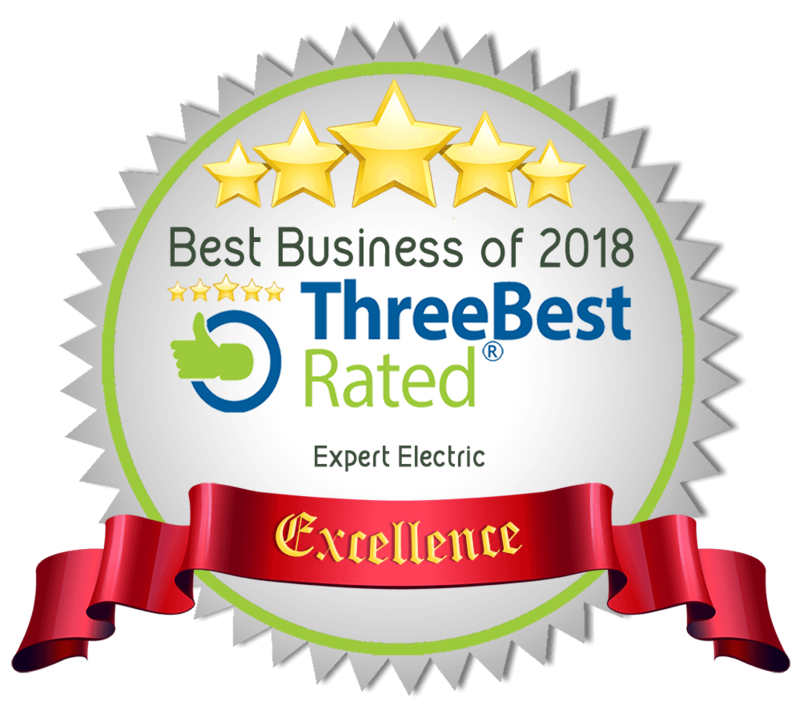 Thank you for supporting Expert Electric! Looking for a 24-hour electrician near you? Our residential electrical contractors can handle any type of electrical job, big or small. If you are in need of electrical services for your home, call the licensed electricians at Expert Electric. We handle a variety of residential electrical jobs including ceiling fan installations, electrical code corrections, surge protection, security lighting standby electrical generator installations and more. We also provide in depth electrical troubleshooting and repairs that can help to diagnose electrical problems throughout your home. Our systematic approach to electrical troubleshooting ensures that issues are found quickly and dealt with efficiently and safely. Our home electrical contractors are available 24/7 for emergency electrical services. Book a residential electrician today. At Expert Electric, our commercial electricians provide various electrical services for new building construction, businesses, office renovations, electrical rewiring and more. We also provide electrical troubleshooting and repairs for problems related to electrical circuits, wiring, data and communication lines and more. If your commercial building or business requires lighting installations, outdoor security lighting, commercial signage, phone and data line wiring or other electrical assistance, contact the commercial electricians at Expert Electric. We are open 7 days a week. Booking an appointment with a local electrician is easy.